We are currently nearing the end of a bucket list vacation, and have had the opportunity several times to seize the moment, and take advantage of a particular site or sight. 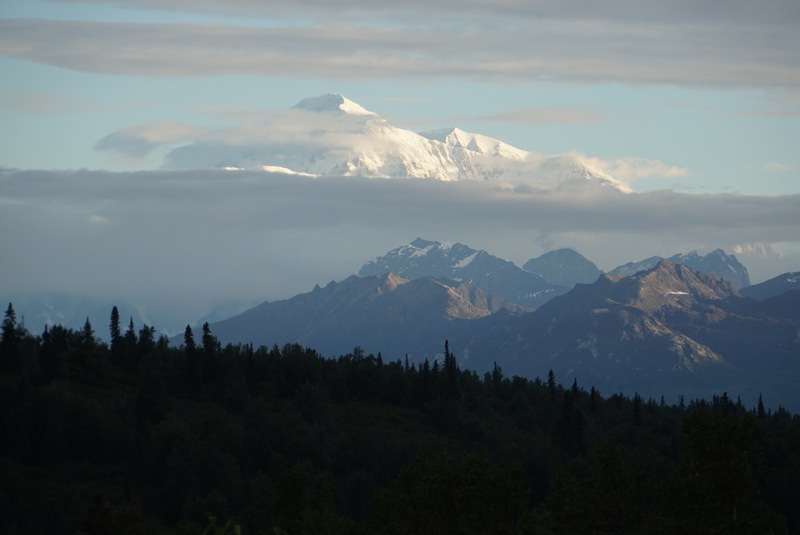 High on the list are two magnificent experiences: seeing Denali – mountain peak that is beyond belief in its grandeur and majesty, and seeing a number of eagles from our Deadliest Catch excursion today. Seeing Denali put us in the 30% club, since 70% of the time people who travel to that area of the country do not see the mountain because it is covered in clouds! Seeing the eagles was stunning, delightful, and impressive. In either case, however, it was a matter of an opportunity not lost. There will be a time when the offer of God’s salvation will no longer apply. When we die or when Jesus’ returns our eternal fate is confirmed: either we have lived a life of repentance and faith, or we have despised God’s calling and gifts. But even now, as you and I read these words, God invites us to call upon him, to believe in him, to receive his gift of eternal life and salvation. That is good news…right now and forever!